Which Would You Like a Bath or a Shower? Here in Japan summer is coming, which means sweaty season is coming. So, today I would like to talk about bath culture in the East and West. First of all, the manga is titled “THERMAE ROMAE” I have introduced before at our site. In brief, the story of “THERMAE ROMAE” is so unique and about an ancient Roman bath engineer who accidentally slipped into modern Japan and eventually he learned its bath culture. It’s quite natural for this movie to become a great hit because we Japanese love bath so much, but what about in your country? I guess more people take a shower rather than a bath, but I wonder how often or when do you take a shower? Here is an interesting Japanese article related to my question. According to the article, very few people soak in a hot tub. And so do most people. Well, it sounds bathing and relaxing in hot water is an occasional luxury. 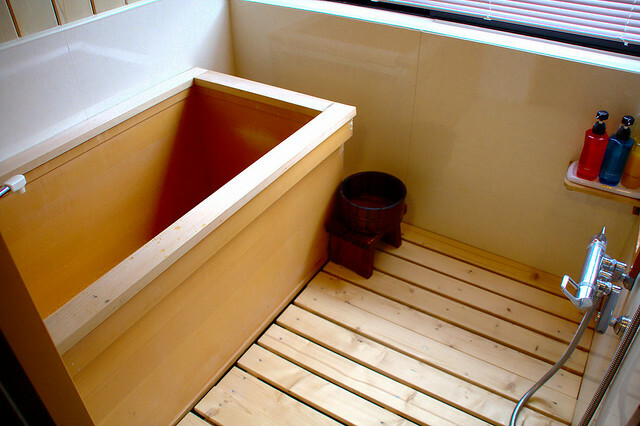 You might think all Japanese take a bath everyday, but the truth is we don’t. Of course some take a bath everyday, but I can’t afford to do so because my bath doesn’t have an auxiliary heater, either. Thus, I choose to take a shower instead even in winter mostly at night, not in the morning. Cultural differences such as the time people worldwide take a shower interests me, but how about you?